People can often prevent or delay getting diabetes by watching what they eat and exercising regularly. Staying at a healthy weight is very important. Extra weight, especially around your stomach, makes it harder for insulin to control your blood glucose (blood sugar). If you are overweight, losing just 5 to 10% of your weight may be enough to avoid getting type 2 diabetes. For advice about losing weight see How to lose weight. There is no special diet for people with prediabetes. Eating a variety of foods in moderation is important, however cutting down on foods with added sugar is a good idea. 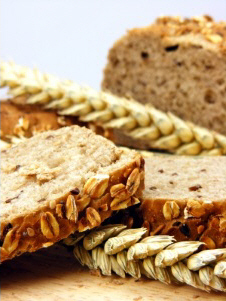 Choose wholegrain breads and cereals wherever possible – these help slow down glucose entering the bloodstream, which gives more time for insulin to work. Spread carbohydrate intake over the day – include some type of carbohydrate at each meal. For the main meal aim for one-quarter of the meal being carbohydrate, such as rice, pasta, bread or potatoes. Eat regularly – whether you're eating three main meals or four to five smaller meals doesn't really matter. Aim for five or more servings of fruit and vegetables a day. A serving is the size of the palm of your hand. Try to have as many different colours of vegetables, as they all have different antioxidants and vitamins. Potatoes and kumara contain a lot of carbohydrate, so have smaller amounts of them. Include meals that are based on legumes. Legumes include chickpeas, cannellini beans, kidney beans, lentils and even the good old baked beans. Meals made with legumes are really good for you, and help to manage blood glucose. Take care with what you drink. Many drinks have a lot of sugar in them – some have 10 teaspoons of sugar in each glass! You absorb the sugar in drinks very quickly, and that is a lot of sugar going into your blood stream at one time. Understand that even natural sugar becomes glucose in your body. A lot of products, like jams or fruit juices, are advertised as having "no added sugar". But the natural sugar in these products will still make your blood glucose levels rise. You can count a glass of fruit juice as a serve of fruit, but it is best to have it with a meal, which will slow down how quickly it enters your blood stream. Exercise regularly. It's best to do something every day to help your insulin work better to control your glucose level. Aim for at least 30 minutes of moderate activity, such as brisk walking, most days (it doesn't all have to be at the same time). If you can manage one hour on some days that's even better, however 10 minutes is better than nothing, so start with what you can manage and build it up. Reduce inactivity. Try to avoid sitting for long periods, for example at work or watching TV. Get up often and walk around, or try standing up instead of sitting. The most effective treatment for prediabetes is to lose weight and watch your diet. No medicine is anywhere near as effective as this. However, if the diabetes test (HBA1c) shows your blood sugar is rising to near the diabetes range even though you have made as many changes as you can over six to 12 months, then your doctor may prescribe metformin. You can also read more about metformin on this factsheet and this page from Diabetes New Zealand (under the heading Biguanides). Having a diagnosis of prediabetes is a warning that you are at risk of developing type 2 diabetes. But the good news is that it has been caught in time and you may be able to change the outcome. Healthy eating, watching how much carbohydrate you eat, losing weight if you are overweight, and regular activity will help to slow down, or even stop, the progression to diabetes. On the next page: Who can help me reduce my risk of type 2 diabetes? Written by HealthInfo clinical advisers. Endorsed by clinical director, Endocrinology and Diabetes. Last reviewed May 2016. Ministry of Health – Prediabetes advice (https://canterbury.communityhealthpathways.org/Resources/MoH%20-%20Prediabetes%20Advice.pdf), August 2013. HealthPathways – Screening and Diagnosis of Diabetes.